A good friend of Victorious Festival? has designed and made a this handy mobile app! Designed for your personal festival planning. Quickly see who’s on now and next. 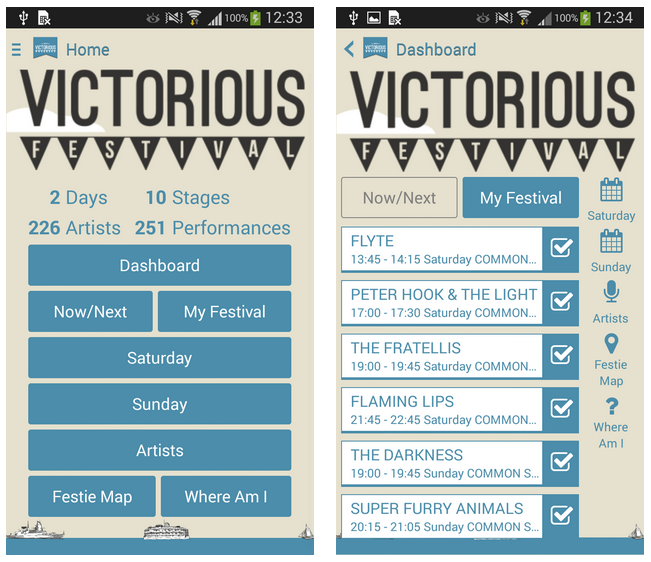 Choose a day and swipe through the stages to see the performances . Select a performance to see where it is, how far you are from the stage, and add it to your festival line-up. Get alerted when the next performance in your festival line-up is about to start. Search for the artists you want to see.